Being a mom has given me this entirely new lens on life. I'll save that post for another day and trust me, it will be long! But tonight, after the bottles are washed, the bath supplies are put away, and the sound of way too many baby clothes rumbling around in the dryer fills my living room, I reflect on the conversation at the end of our staff meeting today. A conversation that I'm thankful we had because it reminded me once again about the power of our words. It reminded me that our words have weight. Yesterday, I had a group of 5th grade boys visit my office. I love these boys to pieces. I've been watching them grow up since they were 5. Some of them are figuring out where they fit in, others are acting tougher than they really are, and most of them are looking for some guidance when it comes to friendships and good choices. We talked about challenges, successes, using better language, potential crushes (yikes! ), and the power of our words. It was one of those principal moments where I took a risk on my strategy with the boys. Instead of coming down hard on them, drilling into them what's appropriate and what's not, taking away privileges, I opted for a few stern "Mrs. Fadeji reminders" and a read aloud. As I curled up in the big comfy green chair in my office that used to be my grandpa's, I watched the boys stretch out on the floor in front of me, find a comfortable position and settle in for a few life lessons. As I read Mr. Peabody's Apples (great book if you haven't read it), my office was filled with palpable excitement as the boys talked about the lessons in the book and the moral of the story. 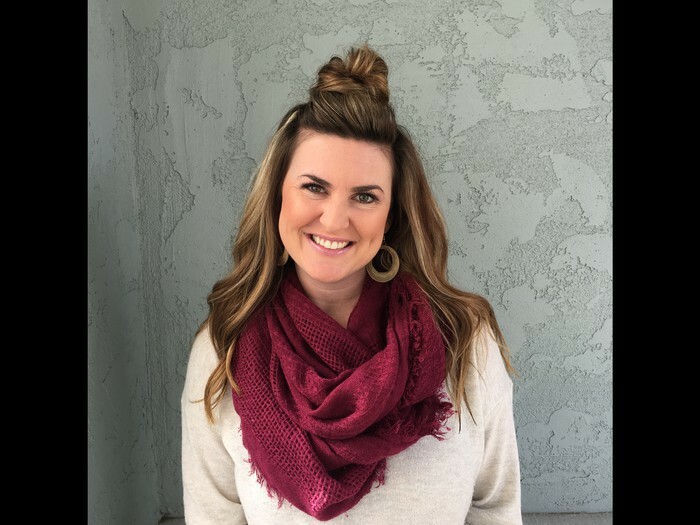 We summarized the story to be about the power of our words, that rumors can damage others in ways that cannot be repaired, and a general sense of how assumptions can lead to unnecessary hurt. Later that same afternoon, I came across an article by the mom of four little girls. In her blog post which is worth a read, she talks about how as a society, we feel compelled to comment on everything. Often times, we don't realize the weight of our words not only on each other, but on our children. Unintentionally, our words can have lasting impacts on those we care about and love the most. Just ask my husband who somehow remembers things I said to him when we were first dating or married. I have zero recollection of many of them, yet he remembers them like it was yesterday. Lucky me! And there we were, 3:44pm today. One minute left of our staff meeting. We focused on our students and the burden we carry to make them better citizens. 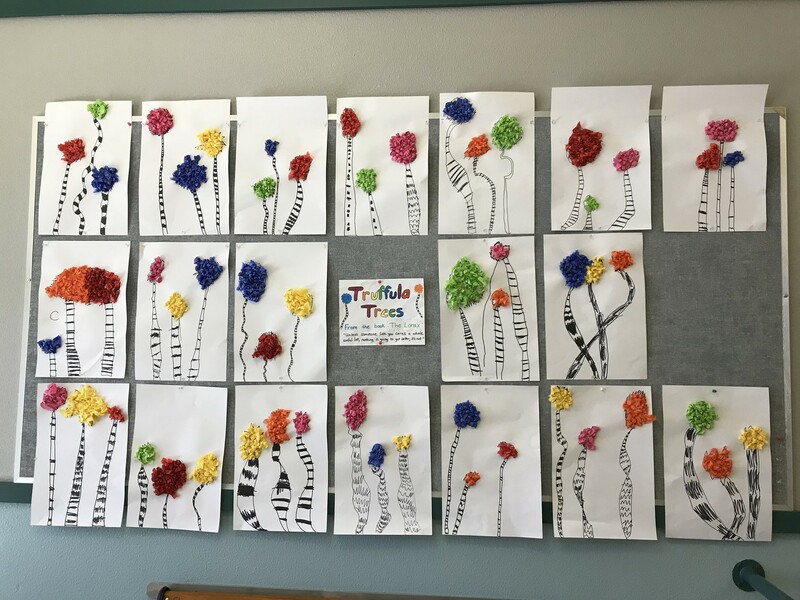 We talked about how to build empathy, spread compassion, and teach kindness. We shared the challenges of helping them navigate this world. I reminded our team there isn't a grade level standard or topic of interest that's more important than the positive life lessons we get to teach your children each and every day. That's a responsibility we take seriously at Penngrove. As you finish out your week and look to the weekend ahead, may you reflect on the people who have breathed powerful words of goodness into your lives. Just when you think your littles aren't listening or watching, be mindful that your words have weight. The power of our words matters. Make them count. 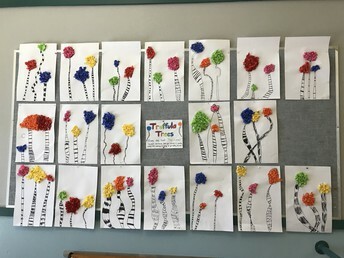 Kindergarten Mrs. Moreda Truffula Trees based on the book "The Lorax" inspired by Dr. Seuss' birthday on March 2, 2018. Hope to see everyone at this year's Talent Show! Whether you have a child in the show or not, its so much fun to see all our little friends perform. Doors open at 5:15pm for the 5:30 show at Kenilworth Junior High on Saturday, March 10. Don't forget to bring money, we will be having our annual bake sale! All treats are $1 each. Talent Show flowers are available for purchase for the contestant of your choice. An arrangement costs $10 and includes a star with their name on it. Flowers can be pre-ordered in the office through Wednesday. There will also be a booth at the Talent Show dress rehearsal on Wednesday evening. It's always best to pre-order, however, a few arrangements will be available to purchase on the night of the Talent Show. Tired of sitting in the back? We are also raffling off 2 sets of 2 VIP front row Talent Show seats! Tickets are $1 each or $20 for 25. Tickets will be on sale at the Wednesday morning assembly or Weds and Friday after school outside of the office. They will also be sold at the Weds and Fri Talent Show dress rehearsals. Winner will be contacted on Friday March 9. Good luck! Proceeds from the bake sale, flowers, and VIP seat raffle will go directly to Outdoor Education for the class of 2019! Thank you, as always, for your support. 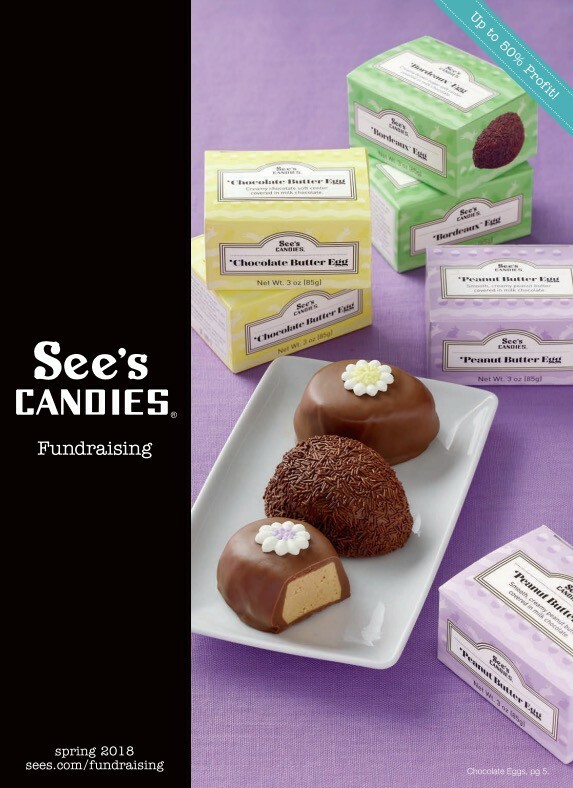 Thank you to all those who made See's Candy purchases! See's Candy will arrive and be distributed the week before we go to Spring Break. All proceeds will help send the Class of 2019 to 6th Grade Camp next year. We really appreciate your support. 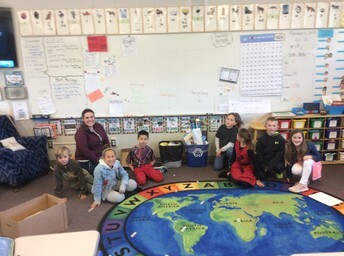 Mrs. Tracy, Mrs. Ciccotelli, and Ms. Barrell help run the Green Team at Penngrove Elementary. This new team consists of second and third graders that were elected by their class to be representatives for all things "green" at our school. We have begun looking at various recycling and trash diversion programs at other school sites with the goal of helping us improve our current systems here at school. 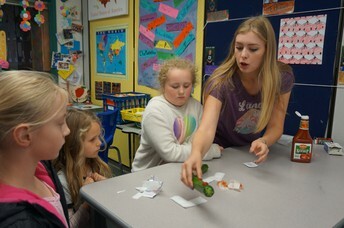 Green Team members have learned more about what everyday items can be considered recycling, food waste, and landfill. Green Team members have created signage for all rooms around the campus to remind students, teachers, and volunteers to "turn off the lights when not in use" and to "close the door when AC or heaters are on" in an effort to reduce energy usage and waste. 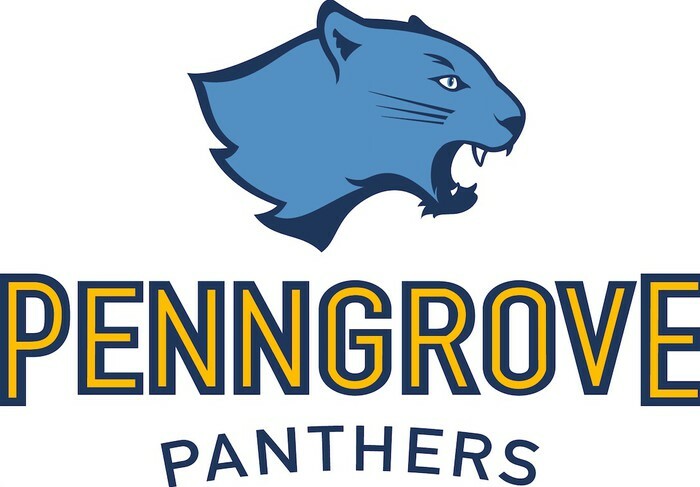 Dine and Donate to Penngrove Elementary! 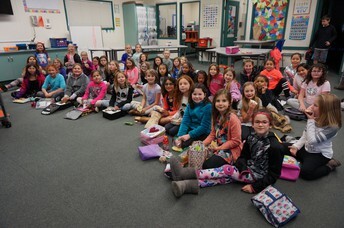 Please join Mary's Pizza Shack (Rohnert Park location only) in supporting Penngrove Elementary's 6th Grade Outdoor Education at a Dine and Donate Fundraiser on Tuesday, March 13th for lunch or dinner! Present the flyer (link below) or show the flyer on your phone and Mary's will donate 15% of your purchase (including gift card purchases) to Penngrove Elementary Schools 6th Grade Outdoor Ed. 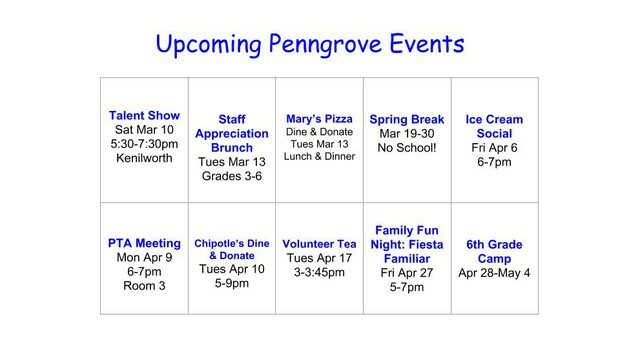 Hello Penngrove community! I hope you are enjoying this lovely, brisk weather. 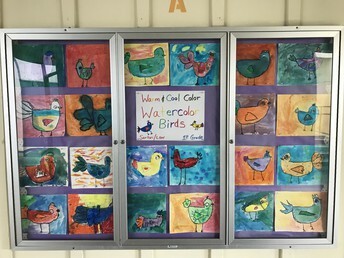 We currently have 10 of our lovely, kind and amazing Penngrove students on our waitlist. That means 10 of our children are just waiting to meet their Mentor, that special person in their life. Remember it only takes one hour a week to become a Mentor! Yes, that is right - one hour a week - to make such a difference in a child's life! Please take a moment and talk to a neighbor or a friend or a grandparent who has an extra hour a week and encourage them to become a Mentor. Thank you! 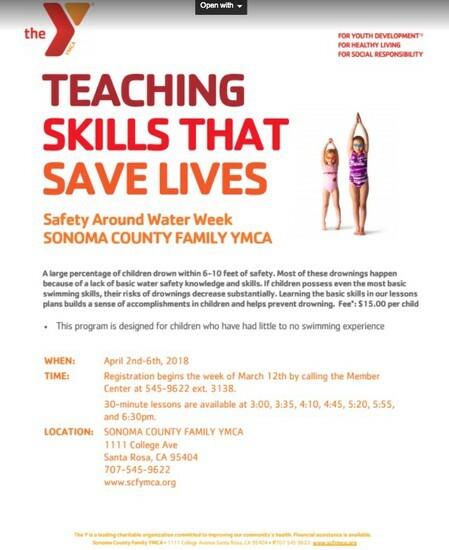 If you have any questions or thoughts feel free to contact me Sarah Keiser 707-332-5969 skeiser@wrmm.org. The BIG news for us in the library is that our super generous PTA granted us $3,000 for new books!! Our FOP/PTA knows the importance of getting the latest & greatest of #kidlit into our kiddos hands! I'm so excited for our students and I'm already busy purchasing said books. Yay! 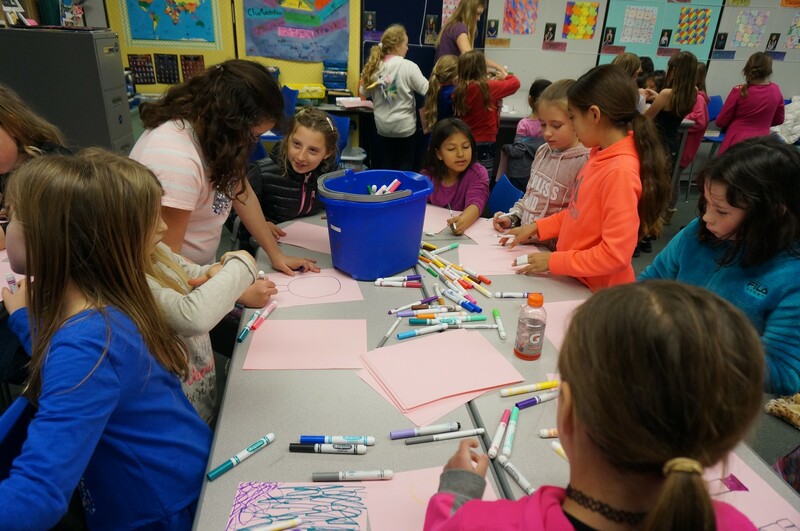 Every Thursday at lunchtime our rockstar Penngrove Elementary girls come together and meet at the Girls' Club! 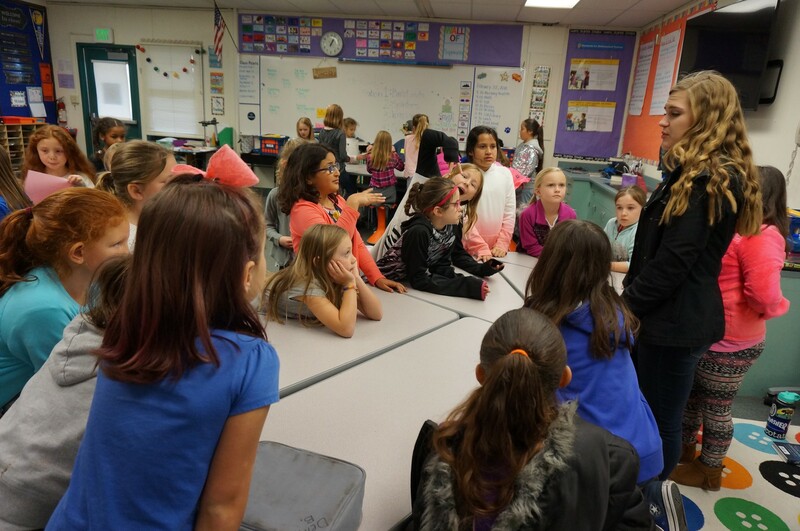 Hosted by our current student teachers, Ms. Y and Ms. Marsh, the Girls' Club comes together to discuss various topics. 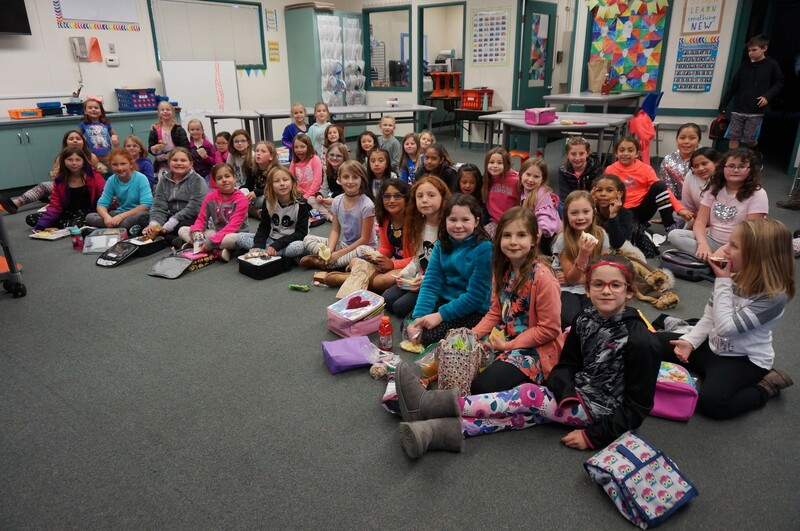 They eat lunch together and learn something new every meeting. Any girl in 1-6 grade is welcome to join. Meetings are held at lunch every Thursday in Ms. Moran's classroom. The PTA is excited to announce that we are accepting nominations for Honorary Service Awards for the 2017/2018 school year. 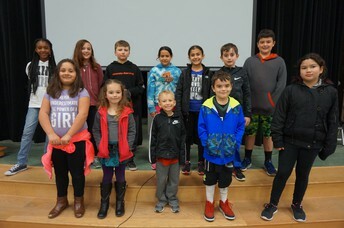 We present three awards to different individuals at Penngrove School during a Wednesday assembly in April. · The Honorary Service Award is given to recognize an individual or organization for outstanding service to children and youth in our community, going above and beyond what is asked of them. · The Continuing Service Award is given to recognize an individual or organization for ongoing or long-time service to children and youth, providing support year after year. 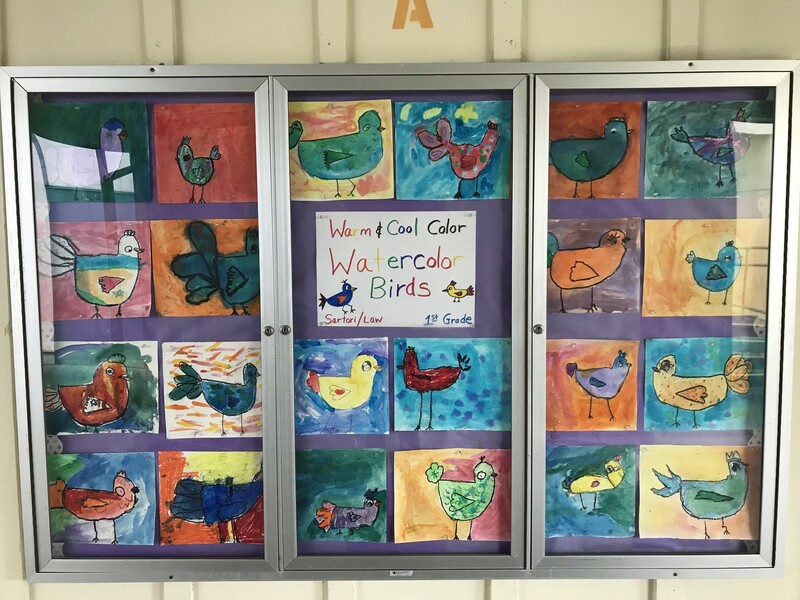 · The Golden Oak Award is given to recognize, as the most prestigious of the Honorary Service Awards, an individual or organization that has made significant contributions to the welfare of children and youth in our school community. If you would like to recommend someone who fits into one of the categories above, please submit your nominations to the committee via email. Submissions are due on Friday, March 16th. 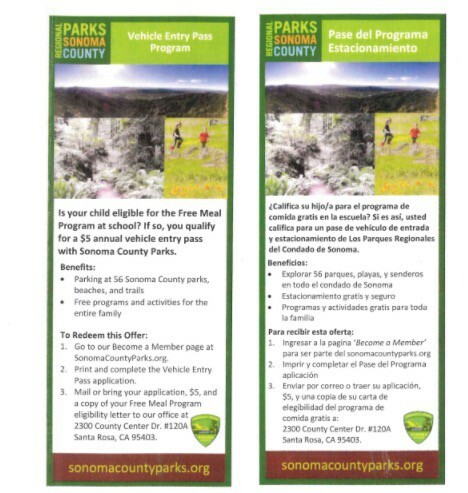 Message from the PTA ..
Parents, it’s that time of year to step up and get involved! Being on the FOPPTA Executive Board is such an amazing experience. You get to work with a wonderful group of parents, make decisions that truly affect Penngrove and your kids, while learning the inner workings of a national nonprofit organization. Below are the board positions we will be holding elections for during our March PTA meeting. If you or someone you know seems right for the job please send your interest or recommendation to Afadeji@petk12.org. We are also looking for volunteers for the following positions next school year. - Recess renaissance volunteers! We are always looking for more parents to come out during recess and run a game. There are many recess tools that cannot be brought out without a parent to supervise. Please email sduffy@petk12.org if you are interested. Mark Your Calendar for the Ice Cream Social! Join the PTA on Friday, April 6th starting at 6:00 for an ice cream social family fun night in the Penngrove Multi. The theme is a 1950's style sock hop with lots of prizes and even more fun. If you are available to volunteer to scoop ice cream and clean up, please contact fopptaevents@gmail.com. 3rd, 4th, 5th and 6th grade parents, it’s time for our annual upper grade hosted staff brunch!! Please sign up to help below, this event is for all staff at Penngrove to show our love and support! Click here to view our calendar for the entire year!